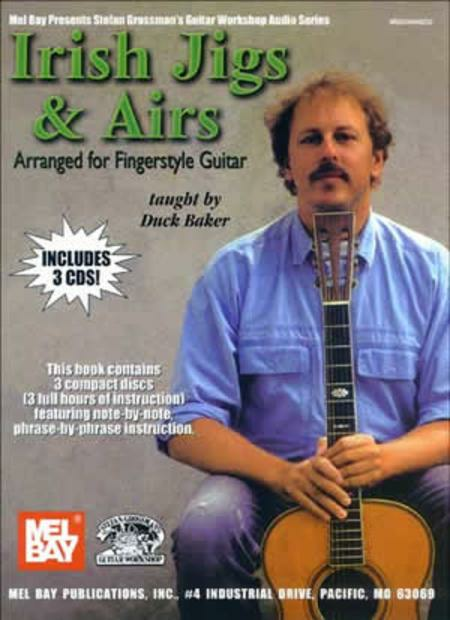 Composed by Duck Baker. Saddle-stitched, Style, Solos. Grossman Audio. Celtic / Irish. Book/3-CD set. 24 pages. Grossman's Guitar Workshop #20489BCD. Published by Grossman's Guitar Workshop (MB.20489BCD). ISBN 9780786669110. 8.75 x 11.75 inches. 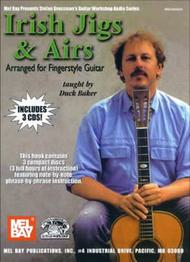 This set of audio lessons contains three compact discs featuring note-by-note, phrase-by-phrase instruction. All the music is presented in notations and tablature. Lessons are taught in Drop D tuning (DADGBE). As a special bonus, this book includes an interview with Duck Baker and an explanation of the tab system.